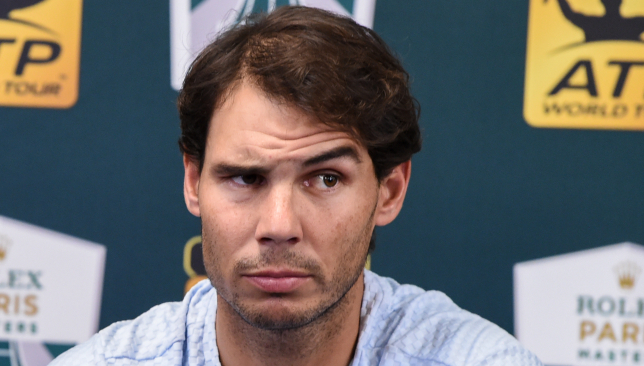 Rafael Nadal is out of the ATP Finals in London next week after revealing his season has been ended prematurely by injury. Nadal announced on Facebook that he is to undergo ankle surgery after the abdominal injury which forced him to miss the Paris Masters had also ruled him out of the tournament. The Spaniard said: “Since the problem in the abdominal muscle also prevents me from playing in London, we take advantage of the moment to remove the free body [in the ankle] and avoid future problems. 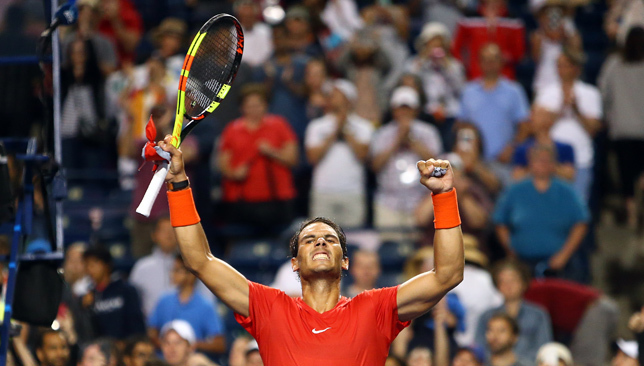 World number one Rafael Nadal has pulled out of this week’s Cincinnati Masters. The 32-year-old Spaniard, who won the title in 2013, feels he needs a rest following Sunday’s victory at the Rogers Cup in Toronto. “I am very sorry to announce that I won’t be playing in Cincinnati this year,” Nadal wrote on Twitter. “No other reason than personally taking care of my body and trying to keep as healthy as I feel now. “I am very thankful to my friend Andre Silva, tournament director of the Cincinnati tournament, who after speaking to him on the phone understood what I said and understands the situation. “I am sure the tournament will be a success and I wish him and his team all the best. I am also sad for those amazing fans in Cincy and around who always gave me great support. Nadal, the 17-time Grand Slam winner, collected his 80th career title on Sunday by beating Greek youngster Stefanos Tsitsipas 6-2 7-6 (7/4). The US Open, the final grand slam of the year, starts on August 27. 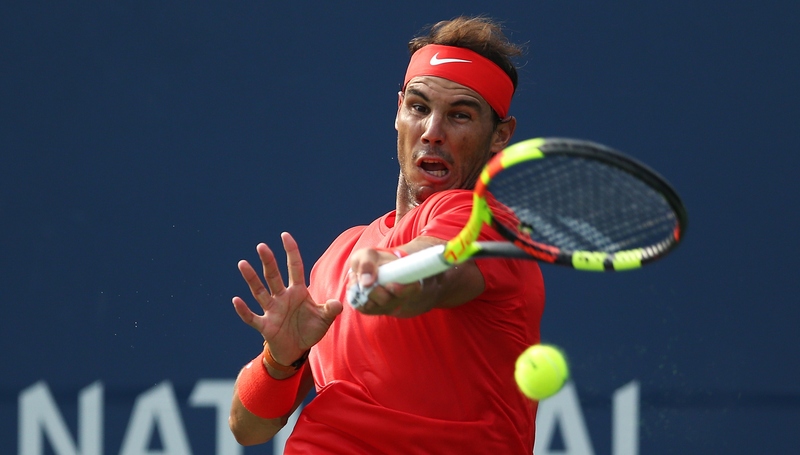 World number one Rafael Nadal eased past Russia’s Karen Khachanov 7-6 (7/3) 6-4 to reach the final of the Rogers Cup in Toronto. Pursuing his fourth tournament title, the Spaniard saw off his unseeded opponent in one hour and 49 minutes under lights after rain delayed play. Firing off six aces over the match, Khachanov got off to a resilient start, breaking back after losing his serve in the second game. He fought back from a break point again in the eighth and the set went all the way to a tiebreak. Nadal proved to have the edge in that, though, and the 32-year-old finished things off in the second set after breaking in the third game, keeping him on track for a record 33rd title at Masters 1000 level. Awaiting Nadal in the final is Greek teenager Stefanos Tsitsipas, who had earlier caused another upset as he battled past Wimbledon finalist Kevin Anderson 6-7 (4/7) 6-4 7-6 (9/7). Tsitsipas, who turns 20 on Sunday, faced one match point before progressing against the world number six to reach to his first final on the main ATP world tour after almost three hours. He had beaten world number eight Dominic Thiem in the second round and then dispatched Wimbledon champion Novak Djokovic before beating Alexander Zverev in the quarter-finals. Whatever the outcome on his birthday, Tsitsipas is expected to climb into the world’s top 15 following his superb run of form.